Why is Laurel Metal Products, Inc. the only manufacturer of drop-shelf vending machines that you know of? You have had 52 years to get to know why Laurel means “Dependability in Vending” and is the first choice when purchasing car wash vending equipment for your wash. So, let’s start with a big THANK YOU to all of the car wash owners whose vending choices have developed the long relationship. Laurel began operation in a similar way to that of many companies in the car wash field. In 1959, Rich Kent incorporated a company that had its beginning in the basement of a house on Laurel Avenue in Wilmette, IL. The early work at Laurel involved the production of many different types of metal products and the continuing development of equipment to vend a wide array of consumer products. The development of vend systems included candy, snacks, newspapers, records, batteries, stamps, laundry soap and fabric products, bulk candy and capsule, and on and on. The Laurel museum room always holds the longest stop for any visitor. In the mid-sixties, there was a project going that helped focus on the engineering design of a drop-shelf system that would be low in cost to manufacture and fast to assemble. What is present in the current version of mechanical and electronic venders had its origin over 40 years ago. During the same period, Rich was approached by distributors in the Car Wash field to develop a towel vender that could replace a very unreliable piece of equipment in use. Do the old-timers remember “that orange machine”? The Laurel drop shelf mechanism was the answer for the needs of the time, but not the only part of the puzzle. Engineering a coin handling mechanism that also had the low cost/easy to maintain features was vital for the unit to function dependably. The early coin mechanisms operated on the choice of one dime or one quarter. After the physical size of the drop-shelf unit and coin mechanism was established, the cabinet dimensions were based on fitting those parts and why we have our recognizable sizes and shapes today. One question that people have asked over the years was “Why do you have 24 shelves in a column?” This dates back to decisions made for cabinet dimensions and vend product amounts purchased in cases. One striking fact in this entire business and product development process is not well known. Rich Kent was deaf at the time after a long decline in hearing that started early in life. Beyond the duties of running the company, Rich was the lead engineer on the product development. Speaking was not affected, but lips had to be read, notes passed, and hand gestures used. You may think of this as a large impediment to functioning, but Rich operated as if it was normal. This is why his voice was never on the phone. The face and voice of Laurel Metal during those years was Rich’s brother, Tom Kent. Rich and Tom would always challenge each other to work longer hours and consistently skip lunch to get the days duties finished. Rich and Tom worked hard enough to be able to retire and slow down and enjoy an easier schedule. Rich passed away in 2006 and Tom in 2010, both in their late 80’s. As of 2011, Laurel Metal is owned and operated by Chip Kent and Pat Kent, continuing the Kent history of close control and operation of Laurel Metal. Both brothers are in their fifties, though Chip will tell everyone that he has worked for the company for over 40 years. Nothing suits a following generation better than change, and Laurel’s manufacturing and assembly operation was ready. Starting in the early 80’s, the production shop was changed to the latest computer controlled equipment, the assembly systems had major restructuring, and company computer controls were updated and customized. The attention to updated equipment and controls continues each year and along with the evolution of the company to focus entirely on vending equipment. The call for electronic vender controls was getting stronger in the early 90’s and development of the first version of an electronic drop shelf vender was finished soon. 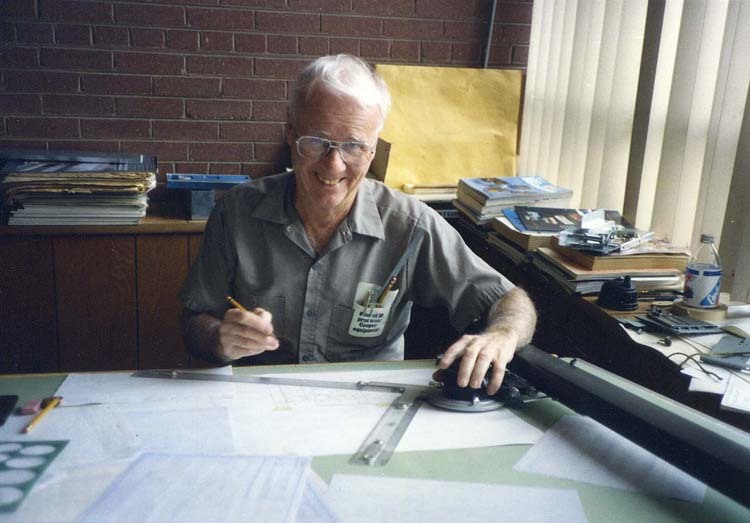 Chip Kent led the development effort and had numerous design versions come and go before settling on a complete single column vender system for new venders and retrofit kit system for older mechanical pull handle venders. The first electronic systems shipped in 1998 for single column machines, soon to be followed by electronic systems for 3 Column, and 5 Column drop shelf venders. Current day drop shelf vending systems have a wide variety of applications. Laurel venders, both mechanical control and electronic control, are prepared for many countries’ coins around the world. The vending machines operate in the chill of Alaska to the heat of Australia, dispensing diverse items from diaper kits to medical supplies to laundry soap. Your Laurel vender may be an ages old mechanical workhorse or the newest version of an electronic, multi-connected vender that has a custom control microchip that suits your specific needs. Car wash owners tell Laurel that the new equipment is fine, but please help me with my 30 year old vender that still has life. One notable service function that is rarely seen is that the owner of a Laurel vender can call and speak to either Chip or Pat about a repair, service, or troubleshooting. In fact, a customer may not realize that they are speaking to the person who has designed, developed, and produced their product. How often is it said “ I can’t believe that you know this product so well!” or “Thanks, that was fast”. A common connection between car washes and Laurel is the repair of aged parts. Offering low-cost repairs has been standard business practice at Laurel since inception. Countless shipments have left Laurel with repair costs that are less than $10.00, and that is said with pride. Large or small, simple or complicated, the vending machines have a long life and that means the customer relationships will follow.